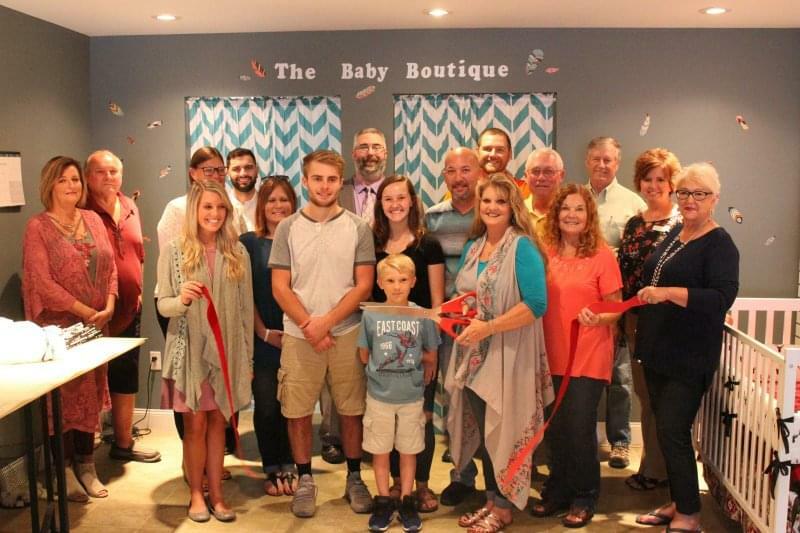 The Salem Chamber of Commerce holds a ribbon cutting Wednesday afternoon for Convertible Coveralls and the Baby Boutique at 108 West Main. Salem has a new downtown business. Convertible Coveralls and the Baby Boutique has opened at 108 West Main Street. The owner is Mandy Lutz of Salem. Lutz feels Salem and downtown is a perfect place for her unique store. Hours are 9 am to 2 pm and 4 to 6 pm Monday, Wednesday and Friday and ten to four on Saturday. Lutz says the store welcomes custom orders. Right now she is the store’s only employee. The Salem Chamber of Commerce held a ribbon cutting to welcome the new business on Wednesday afternoon.